Two years ago, we made headlines when we were able to locate and procure Tauntaun Steaks. Sure, we sold out in a matter of minutes, but we’re told those steaks were out of this world. This year, we challenged the TFAW Buyers to search for similarly hard-to-find products. They’ve answered the call, putting in massive amounts of overtime these past few months–traveling to exotic locales to find products that will completely change your life. 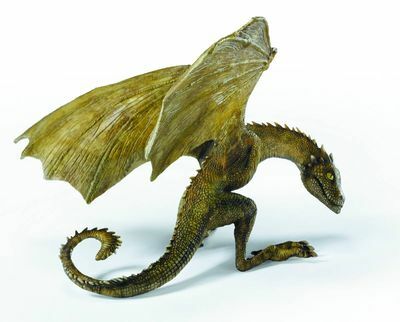 Click on the images or links below to read more about these amazing finds! You’ll find inner peace when you schedule your next Anger Management Session with The Hulk! Travel to distant planets with the use of our Certified Pre-Owned Tardis or inspire fear throughout the galaxy with the Yellow Lantern Ring! 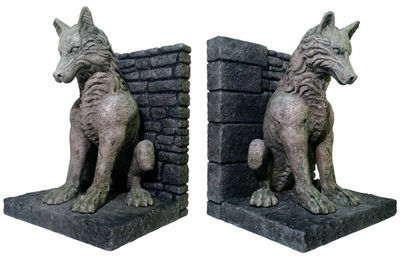 Help give a rescued Direwolf Cub a good home! 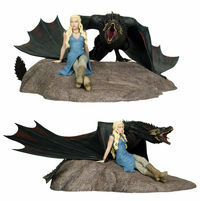 George R. R. Martin’s epic Game of Thrones has never been more popular, with millions of fans breathlessly awaiting the premiere of Season 2 of the HBO show on April 1. 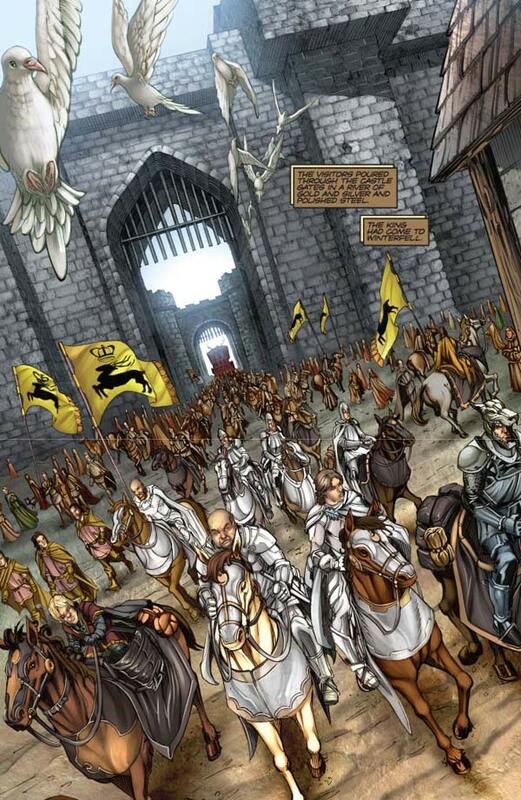 This dark medieval fantasy has ignited demand for collectibles–make sure to let your visitors know about the comics, merchandise, games, and more at TFAW. 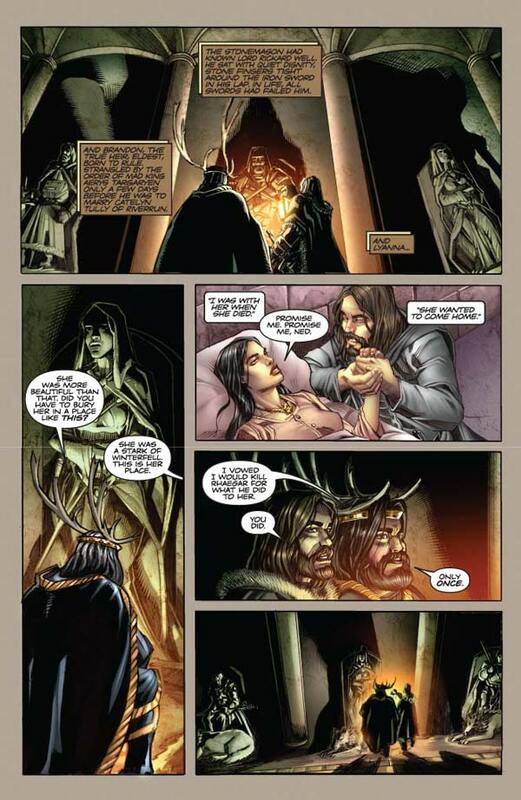 Dynamite Entertainment’s Game of Thrones comic-book series has been extremely popular, and Game of Thrones HC Vol. 01, collecting the first six issues, is out March 14. We’ve got a behind-the-scenes interview with preview art here! 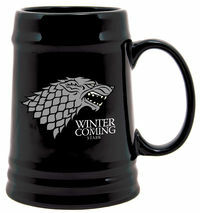 But that’s only the tip of the iceberg: Dark Horse Deluxe is releasing a full line of amazing Game of Thrones merchandise, including mugs, journals, playing cards, magnets, and more this spring, emblazoned with images from the popular TV series. 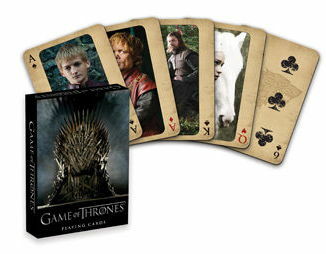 Don’t forget about the Game of Thrones board and card games, too! 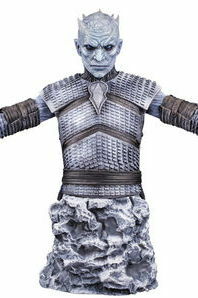 Are you looking forward to Season 2 of Game of Thrones on HBO? Post your comments below! 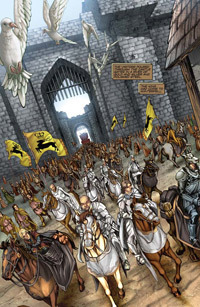 We’re premiering Dynamite Month with an interview with Daniel Abraham and Tommy Patterson, the writer and artist behind the comics adaptation of George R. R. Martin’s epic fantasy novel, A Game of Thrones! 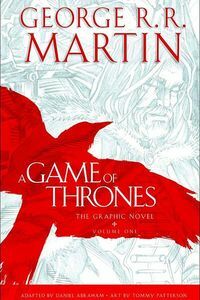 With the HBO series, Game of Thrones, making a splash among television viewers, the comics series has been one of the most anticipated adaptations of the year, with issue #1 selling out immediately (you can pre-order the 2nd printing here). We had the chance to ask Daniel and Tommy what it’s like translating a massive epic to comics, what challenges they’ve faced, and what they’re looking forward to next. Plus, we’ve got an exclusive five-page preview from A Game of Thrones #2! TFAW.com: How did you become involved in this project? Daniel Abraham: I’ve actually known George for a long time. He was one of my teachers at the Clarion West workshop back in 1998, I’ve been part of the Wild Cards consortium that he heads up, and I co-authored a novel with him and Gardner Dozois called Hunter’s Run. So when the time came to talk about writers to adapt A Game of Thrones, he knew a lot about how I work and what my judgment is like. I also live about an hour south of him, so it’s not hard to get together for lunch if we need to. TFAW.com: What role does George R. R. Martin play in the adaptation process? DA: Most of his work is already done. He wrote the book. He told the story. He will still approve some art and I’ll quiz him if some detail or character seems problematic. He’s really the only one in the world who knows where all the bodies are buried, so sometimes I’ll omit a line of dialogue or a character from a scene that actually needs to be there because they pay off sometime much later down the line. 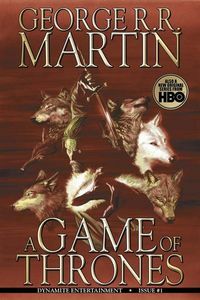 TFAW.com: A Game of Thrones is a dense, action-packed novel with tons of characters, and lots of plotlines to juggle. How do you condense something like that for comics? DA: The big things are to look for places that information can be conveyed visually and then make Tommy carry the load. For instance, the tourney of the Hand is something that gets pages and pages of description and color commentary that evoke the images Tommy can just present. That gives me a lot of breathing room. Sometimes I will pare down the number of people present in a scene just so it’s manageable. Random House and Dynamite have been very good, though, about giving us room. 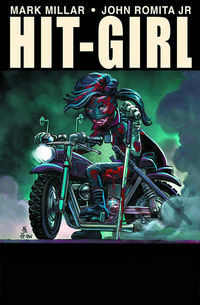 The project is 24 issues at 29 pages per [comic]. That matches it almost page-per-page with the original novel, so it’s less a condensation of the story than a reframing of it. We didn’t want to makes this into a Classics Illustrated version of the book. We wanted to give the story enough room to be as big as it really is. TFAW.com: This is your first foray into comics writing–what has surprised you thus far? DA: It’s the first one of this scale, but it’s actually not my first time adapting George. I did adaptation of his novel Fevre Dream and his novella Skin Trade for Avatar Press, and I wrote an original Wild Cards miniseries. The thing that’s been hardest so far is the way that comics and prose experience things like dialogue and description differently. Dialogue, especially, just behaves differently in the two media. 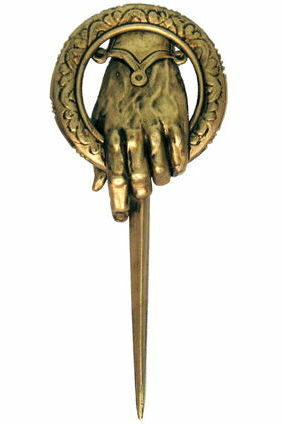 TFAW.com: You’re a very successful science fiction and fantasy writer in your own right. Has that helped you adapt A Game of Thrones? 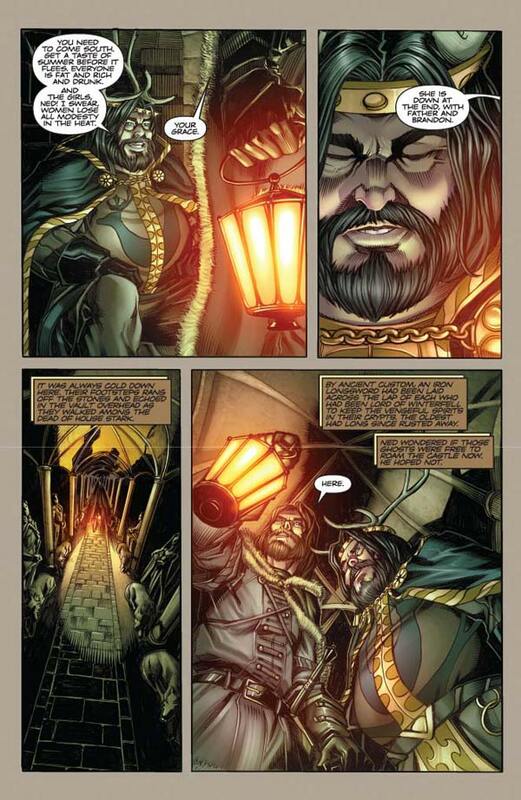 Do you think you’ll want to branch out and create original fantasy comics? DA: I hope it’s helped. I think it has. It’s certainly been illuminating for me to reread A Game of Thrones this carefully and with this kind of attention to the function and structure of every scene. It’s easy to just be swept away in the story, and having a project that keeps pulling my attention back to things like what a description or line of dialogue does has been fascinating. As far as writing original comics, my secret agenda is to get enough experience that I can pitch an idea of my own that I’ve been keeping in a box lo these many years. TFAW.com: A Game of Thrones has been getting a lot of attention because of the HBO series, which means a lot of readers might be going from the TV show to the comics, without reading the book! Does that put a lot of pressure on you? DA: Not really. My mandate is to be as true to the book as I can. 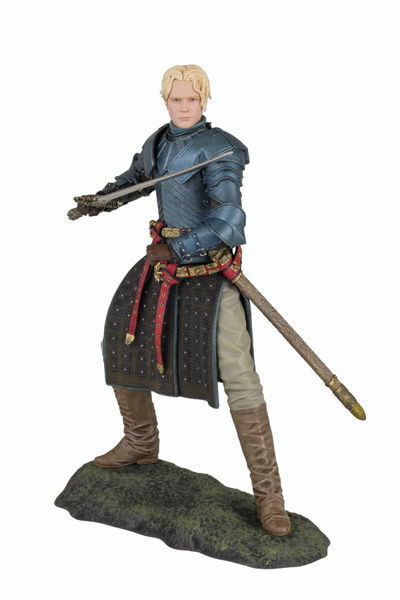 I hope that someone coming from HBO will pick this up and be drawn in by what we’ve done, and come away with a deeper understanding of all the things they saw on the show. Things like why Lyanna Stark is important and the deep moral ambiguity of Dany’s relationship with Khal Drogo are hard to get across when you’re compressing the book down to an hour of television. HBO did a great job with it, but because we have different constraints, we get to take the story a little deeper. 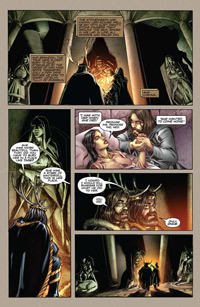 TFAW.com: Fans, or potential fans, now have three ways to get the story of A Game of Thrones: the novel, the TV show, and the comic. What do you think are the advantages of each medium for the reader, or viewer? I think the books will always have the advantage of being the primary source. Everything that any of us do around it is constrained by the original novel, but the original novel was free to do whatever it needed to. The HBO show really is a masterpiece of condensing and simplifying without dumbing it down, and I’m deeply impressed with the work they did. The comic book will, I hope, give the story of the novel and the visual power of the television show, and also give a sense of the really epic scale of the story that’s not limited by a production budget. 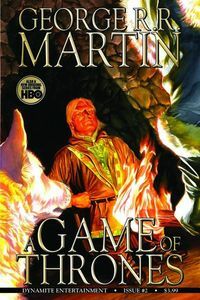 TFAW.com: Are there plans to adapt the other books from A Song of Fire and Ice? DA: I wouldn’t go for plans so much as intentions. If the readership’s there, I would love to see the whole Song of Ice and Fire saga in this medium. TFAW.com: Issue #1 just came out; what issues are you on, writing-wise? DA: I’m scripting issue #10 right now. TFAW.com: Are there any moments you’re really looking forward to writing, or really dreading? DA: I haven’t gotten to the Eyrie yet, and it’s less that I’m looking forward to writing those scenes, as that I’m wanting to see what Tommy does with them. And there’s the big spoilery turning point of the whole book. I’m looking at that one with dread and anticipation in more or less equal measure. 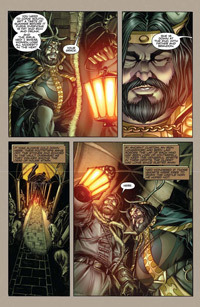 TFAW.com: Tommy, you’ve done a lot of cool fantasy and science-fiction work in the past, like BOOM!’s Farscape comics and Grimm Fairy Tales for Zenescope. Did you ever think you’d be drawing A Game of Thrones? Tommy Patterson: To be honest I wasn’t aware of the series until I was trying out for the job. It took about a week of research to realize how huge this thing really is. I am humbled to be a part of it. 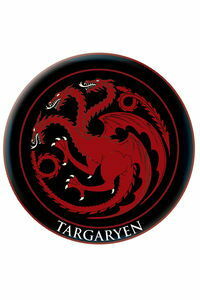 I feel lucky to be part of the A Game of Thrones tornado. To take it a bit further, until I actually got the job, I just figured it was too good to be true. TFAW.com: What attracts you to the fantasy genre? TP: Growing up with a bunch of comic-loving friends, we discovered D&D, and I’ve been a fan since. I’m not a big novel reader, but role-playing games I feel give you a similar experience. You get transported into another place and time. When I draw, it’s all about transferring the images in your head to the page. 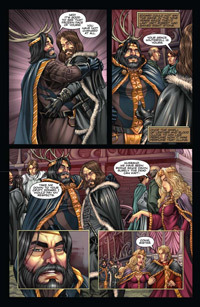 TFAW.com: What input does George R. R. Martin have on the look of the A Game of Thrones comics? TP: I send the pages and designs off, and more times than not George likes what I’ve done. 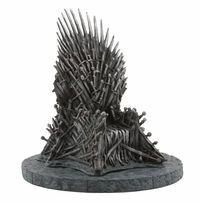 He really pushed me on the design of The Other and the Iron Throne. I know how much time he put into writing, and I want so bad for him to get exactly what he wants. 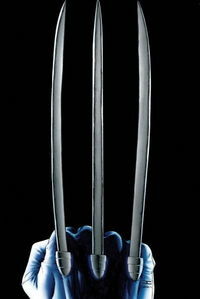 TFAW.com: What kind of reference, if any, have you used for the costumes, buildings, and props? TP: Sheesh, where to start. I’ve looked at everything that has come before I joined to party. I’ve checked out tons of books from the library. I’ve watched numerous documentaries and movies. I’ve even looked at fan art. Finally, I look at the HBO stuff to see what not to do, haha. I’m supposed to stay away from any of their designs. A couple of times I’ve done something close to the HBO show and I swear I didn’t look at it. George sends along things from time to time when I can’t seem to hit the right note. 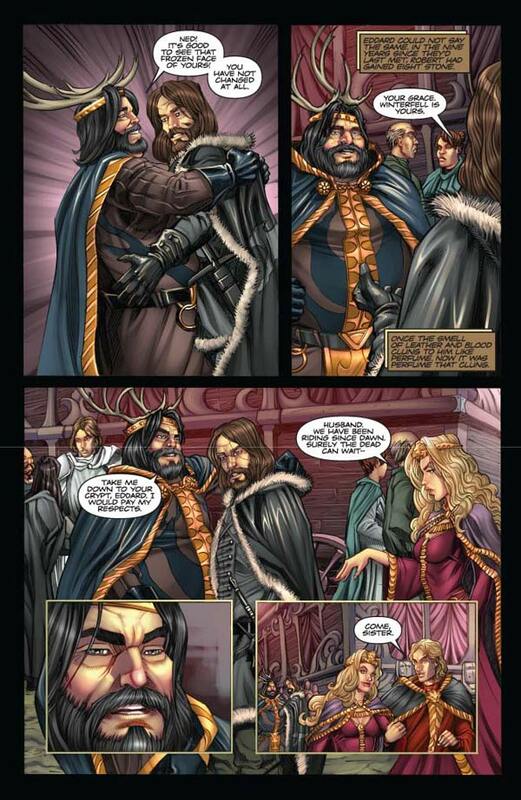 TFAW.com: It’s my understanding that you two were working on the comics before the HBO series debuted. Have you seen the show yet? TP: I watched the first episode just to see how good it was. Wow, does it look fantastic. My wife watched the whole series and tells me what I’m missing. I’m too scared I’ll be influenced by it to watch any more. As soon as I’m done with issue #24 I’ll fire it up and enjoy it. TFAW.com: Do you have a favorite character to draw? TP: Tyrion. It’s fun drawing ugly characters. TFAW.com: What was challenging to you about tackling this book? Is there anything that was completely new to you? TP: The challenge is the scope of it. I’ve designed 80% of it myself. Some stuff is from calendars, like the cities I got to reference. It’s also a larger book. 29 pages is no joke, so I have very little time off. Not complaining, because I wouldn’t trade it for anything in the known universe. So basically the roster and giving everyone their own look is the biggest challenge. TFAW.com: What other types of comics do you want to do next? TP: I would be happy doing the next book in the series. As far as other types, I’m a superhero guy at heart. I want to draw the Hulk before I die. We want to thank Daniel and Tommy for taking the time from their very busy schedules to answer our questions! 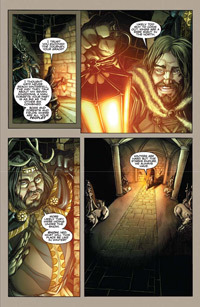 Make sure to pre-order A Game of Thrones comics now, and check out our exclusive five-page preview of A Game of Thrones #2, out October 26!